"Sampath Speaking" - the thoughts of an Insurer from Thiruvallikkeni: Big Buddha flooding UK with cannabis seeds !!! Gautama Buddha, simply the Buddha, was a sage on whose teachings Buddhism was founded. The word Buddha means "the enlightened one". The religion’s ethics aims at cultivating a non-harming attitude towards self, other people and also to all living things. It means being kind, gentle, considerate and respectful towards self and others. It means moderation of behaviour ~ and what can you associate a brand with his name ???? – but more known for it use as recreational drug around the world, only behind alcohol, caffeine and tobacco. In the United States alone, it is believed that over 100 million Americans have tried this !! - and the global list includes many sportspersons … it is ‘Cannabis’ - a genus of flowering plants that includes three putative varieties, Cannabis sativa,Cannabis indica, and Cannabis ruderalis. Cannabis has long been used for fibre (hemp), for seed and seed oils, for medicinal purposes, and as a recreational drug. Milo Yung, who calls himself ‘the Big Buddha’, claims to be the founder of Britain’s ‘number one’ brand of cannabis, which is sold around the country in colourful packets boasting of the product’s ‘unique high’ and ‘old skool taste’. Despite the cartoon of a smiling Buddha on the label, buyers would have no doubt that they are buying seeds to grow skunk – a potent, high-strength form of cannabis which has been blamed for an epidemic of mental health problems among users. There have even been boasts that Big Buddha Cheese won first prize in a recent ‘Cannabis Cup’ to produce strong, psychoactive strains. But once bought and planted, instructions on the packet make clear that the seeds can be grown to produce flowering cannabis plants and a crop of illegal drugs within seven to nine weeks. A packet of ten seeds – sold for £55.50 or even cheaper online – can produce an equal number of plants, which would be enough to grow drugs with a street value of more than £40,000 a year. The Mail has traced Big Buddha Seeds Company – fronted by Yung with his business partner Andrew Hines – to a cannabis growing operation across Europe, including Spain, where laws permit the use and cultivation of the plants for personal use. Yung, 40, openly brags about his cannabis production, touring the world visiting marijuana festivals promoting his brand of strong skunk which he has spent years developing by cross-breeding plants. The newsitem reveals that Yung’s real name is Michael Walong Ng, he grew up in Birmingham. Until two years ago, he was registered as living with his 64-year-old father in a modest £240,000 semi-detached property in the city’s suburbs. It is a far cry from his lifestyle now. Yung currently resides on Ibiza, where he drives a Mercedes, boasts about buying a yacht and mixes with celebrities in the Spanish party island’s most exclusive clubs. In an interview, Yung is quoted as saying: ‘We are also constantly pushing the BBC [Big Buddha Cheese] to celebrities to endorse. So far we have smoked with Howard Marks, Noel Gallagher, Jamiroquai, Bez from Happy Mondays – even the new single from Sean Paul mentions the cheese, from when we gave him some last year. The article states that at the expense of kids, ruining their lives, the sale thrives and Cannabis acts as a gateway to harder drugs. 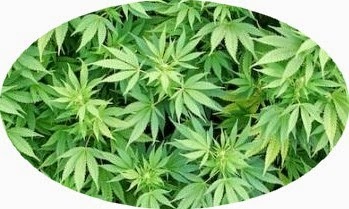 Current laws permit the sale of cannabis seeds, including hemp, which has traditionally been used for bird seed. But the law provides a loophole which, bizarrely, allows headshops also to sell seeds which, when grown, produce a highly potent skunk. Thus while it is illegal to grow, use or sell cannabis in Britain, seeds can be bought entirely legally over the counter in hundreds of high street shops in London. Not something good to read !